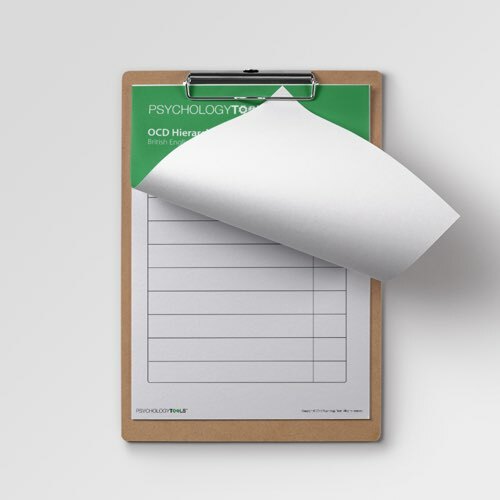 Part of traditional CBT treatment for OCD is exposure to situations which trigger obsessions (classically accompanied by the prevention of the associated compulsion). 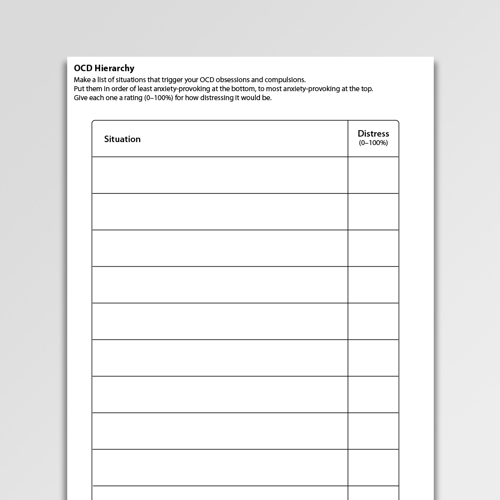 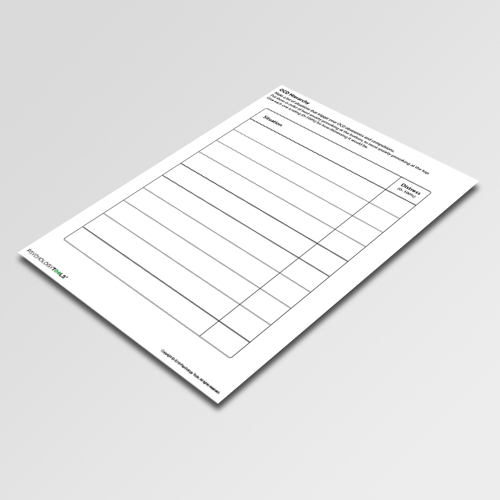 The OCD Hierarchy worksheet helps you to plan a hierarchy of situations which trigger obsessions. 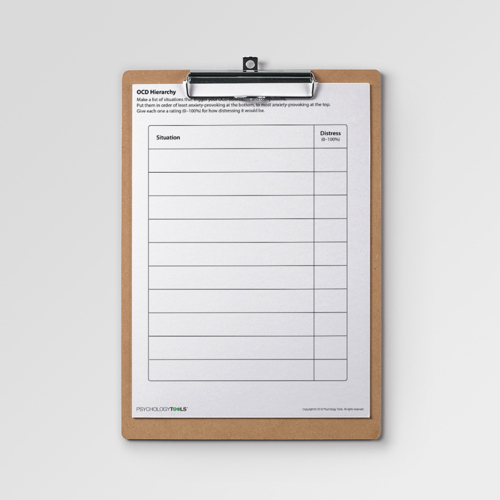 These can then be tackled in order of increasing difficulty.